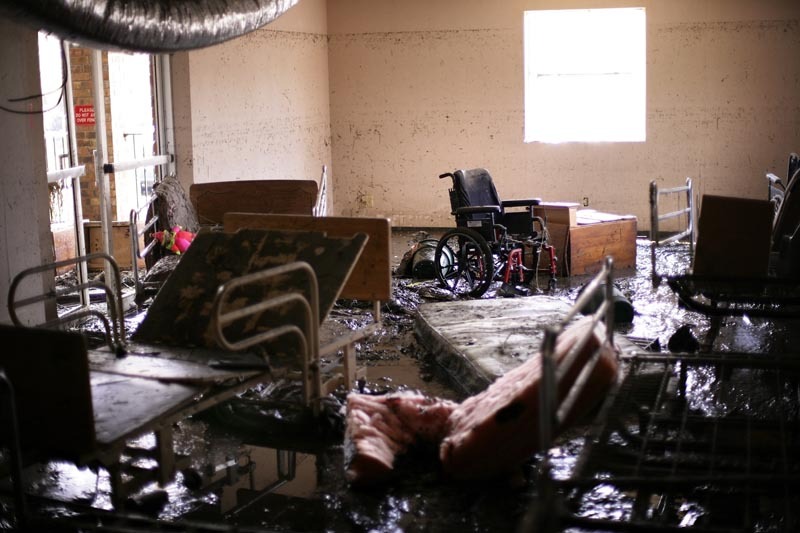 Thirty-four people died when flood waters from Hurricane Katrina innundated the St. Rita's Nursing Home in Violet, Louisiana. The waterline is clearly visible only inches from the ceiling. The owners, Salvador A. Mangano and Mable B. Mangano, were charged with 34 counts of negilgent homicide by the Louisiana attorney general for failing to evacuate the patients.